I’d been familiar with the concept forever, but I didn’t have a name for it until an early episode of New Girl when Schmidt decided to dump CeCe for her own good by being mean to her until she gave up on him. Fortunately for their relationship (for a while, anyway), CeCe knew Schmidt was a fan of Jack London’s novel White Fang and immediately caught on to what he was doing. “Are you White Fanging me?” she asked. Schmidt tried to play innocent, but everyone knew White Fang was the only book on his Kindle (though he points out that he has “many PDFs”). Not a fan of half-hour Fox sitcoms or wolf books? That’s okay, you’ve still seen this shtick enough times to be bored by it. People get together, but one of them decides the other is too perfect for them and proceeds to sabotage the relationship for the other’s perceived benefit. Because love may be grand, but nothing feels as good as being a martyr. Now, I normally don’t have much patience for plots that hinge on White Fanging. I also am not typically enthused to read about vampires (none of us are really over Twilight yet, are we? Will the specter of Twilight ever clear, so that we can enjoy vampire-y stuff without immediately imagining Kristen Stewart’s pasty face and heavy mouth-breathing?). But I am willing to make allllll the exceptions for Certain Dark Things. These are vampires like you haven’t seen before. Moreno-Garcia has created different races (breeds?) of vampires, originating from all over the world and in varying degrees of creepiness. Atl is a Tlahuihpochtli from the North hiding out in Mexico City after several of her family members were wiped out by rival vampires. 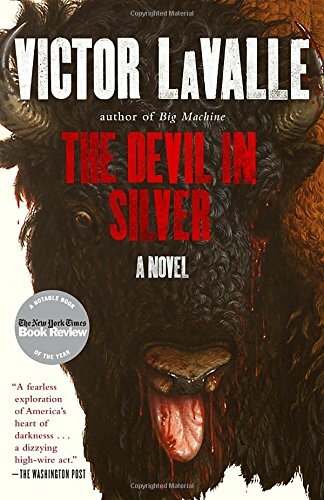 On the train, she meets Domingo, a garbage collector and streetwise kid who is drawn to the mysterious woman and her big bioengineered dog. Maybe because she’s feeling vulnerable, Atl asks Domingo back to her place, and so begins one of the strangest yet sweetest partnerships I’ve ever seen in fiction. Of course, because Atl is a vampire and Domingo is just a kid with a heart of gold, there’s all kinds of ambivalence and tooth-gnashing about whether or not they should be friends, let alone anything more. But Domingo has all these good qualities—he’s protective, strong, smart, resourceful—and he keeps coming in super-handy, because Atl is being hunted by the same vampires who took out her family. 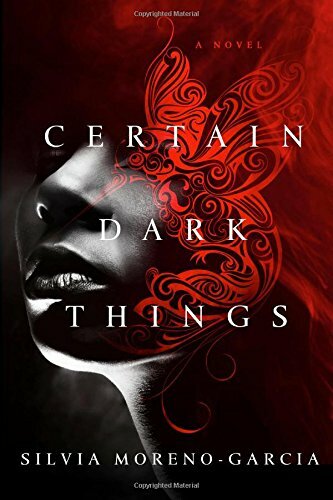 Don’t let the White Fanging or the vampires scare you away—Certain Dark Things is a dark, fun ride.